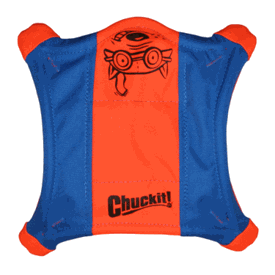 Chuckit Flying Squirrel Squirrel-shaped throwing toy with raised sides for easy pick up, glow in the dark paws, and durable rubber feet. Also floats in water! 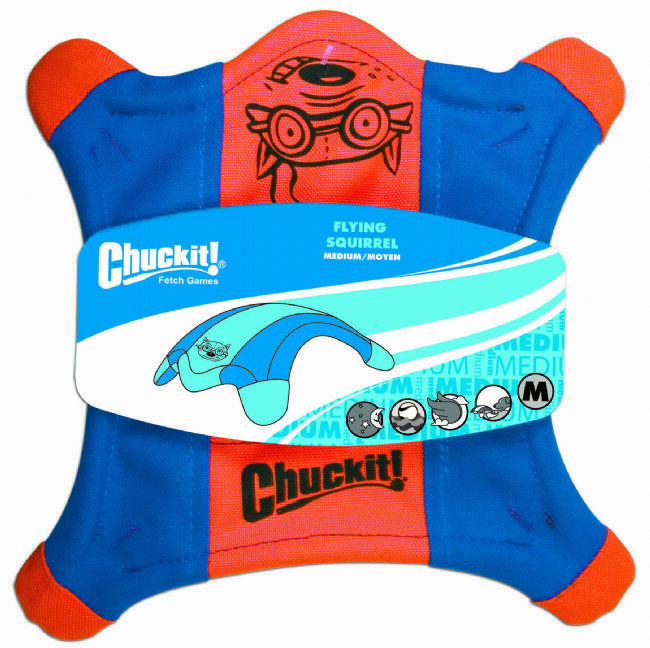 Flying Squirrel (medium or large) - Here is one squirrel who won’t mind being chased. 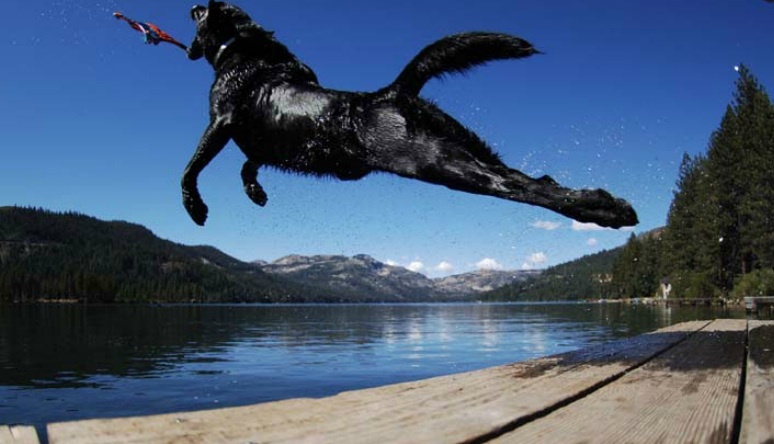 Just grab him by a paw and throw like a flying disk. Remember to snap your wrist while throwing to give him a good spin. His spinning feet create visual excitement for pet and owner, and the raised sides make him easy to pick up! Description: Squirrel-shaped throwing toy with raised sides for easy pick up, glow in the dark paws, and durable rubber feet. Also floats in water!